I'll be trying to tailor this thread (it will be a work in progress), but I really want to make something up now as I'll be moving eventually. 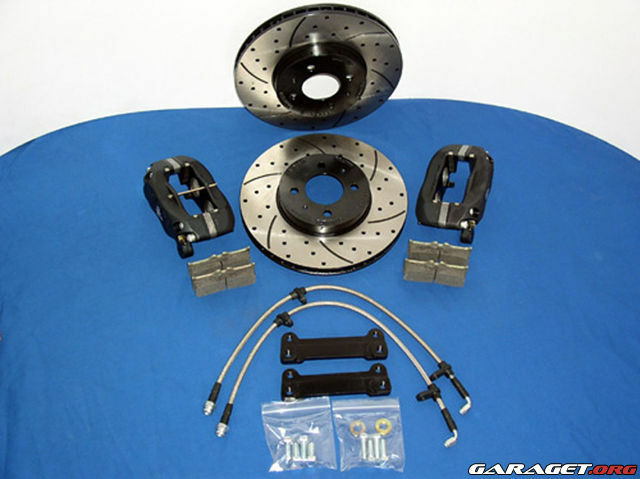 -New Front Wilwood twin pot caliper kit with rotors and bracket and lines/pads. *You will need to trim your caliper dust shield/mounting bracket. *Passenger side E-cable needs replace. T3 will replace when new owner calls. *Driver's side caliper mounting bracket has stripped threads. T3 will also replace at no cost to new owner. Paid 11 or 1200 when I bought it last year. I also spent over 2 hours modifying the E-brake because T3's casting sucked. Last edited by CloudStrife on Fri Mar 02, 2018 10:36 am, edited 2 times in total. Price? Location? Interested in the front kit, and if its the older one will it fit under 14" wheels? Hey man, I'm on the East in Florida. Shoot me a PM with an offer I'm sure we can work it out. 14" should be no problem, but I'm not 100%. How much for the brake kit? Just PM me offers, I'll take the best. The rear brakes are about 1100 from T3. Posted pics of front BBK. Still for sale, links for pics broken but will re-upload.